I would’ve walked away from the fights. In Jesselin’s situation Would have kept doing my work and not care what people think of me. If I were in Jesselin’s shoes, I would have really worked hard and have done my work. Even if my friends didn’t do their work I would have encouraged them to do their work with me. I would have handled Jesslin’s problems way differently. If everyone else wanted to fail, they could. I wouldn’t want to though, even if fitting in means failing. I’d still try my hardest and do my work. School and how you do in it pretty much leads to where you end up in life, and I want that to be someplace good. 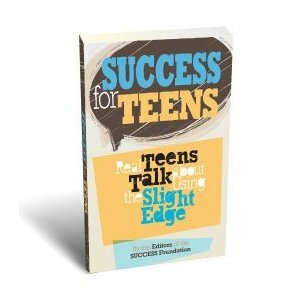 I would have liked the authors to answer the question were they successful when they were teens? 1. I would have just done what I thought was best for me: to work to the best of my ability. I wouldn’t have cared what other classmates were doing with their school work if I wanted to succeed. 2. How did the author obtain the information and stories? 1. Instead of trying to act cool in front of my friends,as Jesselin Rodriguez’s first choice was, i would have focused on my school work so that i could get into college and have a successful career. 2. One question i would like to ask the author about chapter one is: After taking a series of small tests in order to get a positive outcome, what is there to do after trying many times and receiving a negative result? 1. Jesselin did had many hardships in school. She should have just been herself. Doing something right is very different from it being cool. Everything cool is not always a good thing. 1. Don’t let other people bring you down that easily. Just because someone doesn’t like what you’re doing doesn’t mean you shouldn’t do it. It’s all a matter of trying to fit in by following your peers… There goes that little saying again: “Don’t be a follower, be a leader.” Lead your life! Forget what people think! You never know when you’ll be looking down on them saying “That could’ve been me.” I know it’s hard not to follow up with your friends but sometimes you need to know what’s right and what’s wrong. It’s usually not that hard to tell. 2. One question that I would ask the author is: Why is it that when people say they’re going to have a great job, a great life, etc. they almost always end up dropping out of high school, smoking drugs, and getting themselves in trouble with the law(and their parents have to bail them out)? It doesn’t make sense. They seem like “goody goodies” and then they always have to ruin their life forever. I just wish people wouldn’t act so stupid when they know it’s the wrong choice their making.